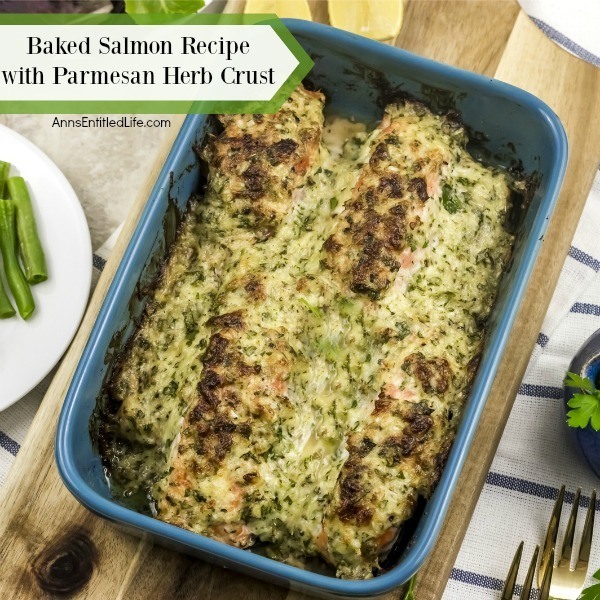 This easy to make baked salmon recipe with Parmesan herb crust is a fast dinner that is delicious any day of the week! 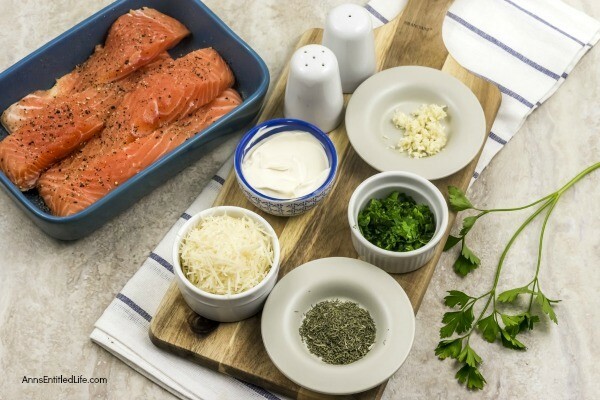 From prep to table this oven baked salmon recipe is ready for your family in about 20 minutes. Truly one of the best-baked salmon recipes you can make. Yummy! One of the easiest ways to add flavor and “dress-up” a seafood dish to give it a crust or a topping. 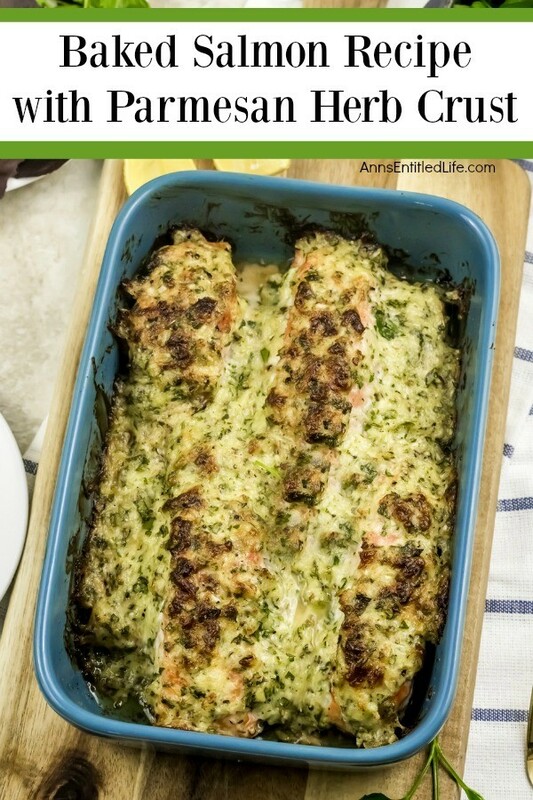 One of my families favorites if this baked haddock with horseradish topping. Hubby and I make it at least a half a dozen times a year, plus we use it for Christmas Eve dinner! 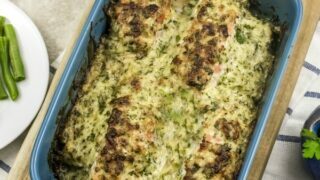 This baked salmon recipe with Parmesan herb crust is just as delicious and just as easy to make. It is a fast, easy dinner that paired with this cucumber Caprese salad makes for a healthy dinner your whole family will enjoy any time of year! • Preheat oven to 425º. 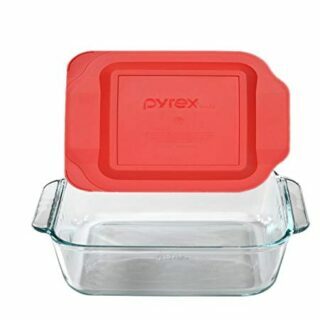 • Spray a non-stick shallow glass pan with non-stick spray. • Rinse salmon and pat dry. 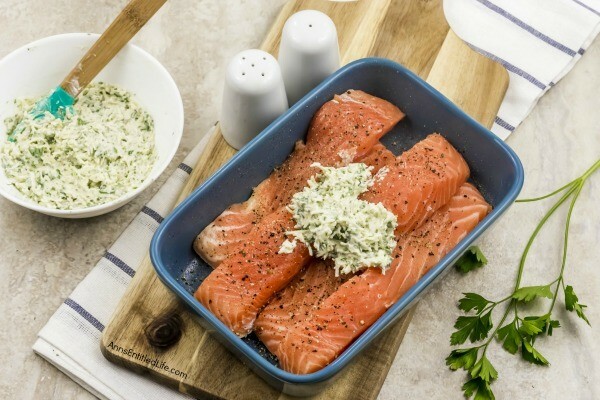 • Cut salmon into 4 pieces, and lay skin side down in prepared pan. • Salt and pepper salmon on both sides. 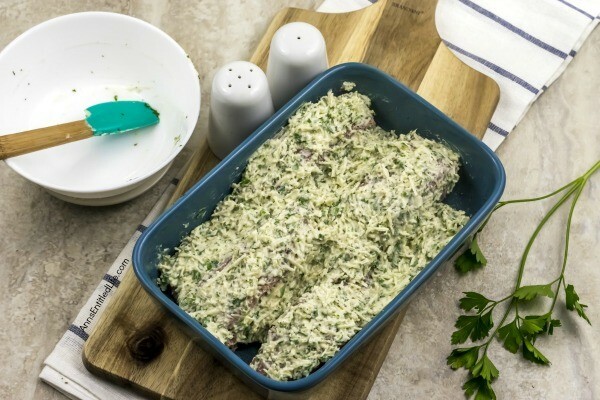 • In a bowl combine ½ cup shredded Parmesan cheese, 3 tablespoons of mayonaise, 1 clove of minced garlic, 2 teaspoons of chopped fresh parsley, and 1 teaspoon of dried dill. Combine and stir into a paste. 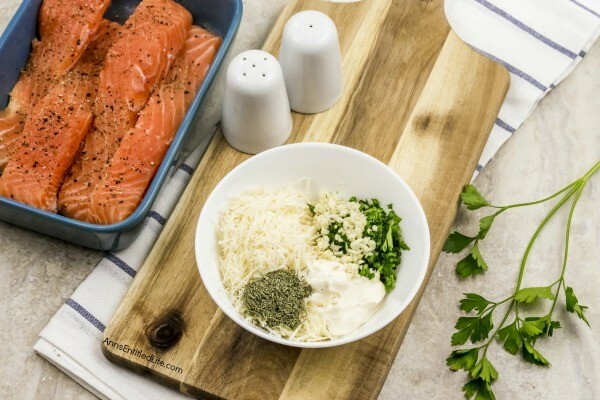 • Evenly spread the Parmesan mixturer on top of salmon. 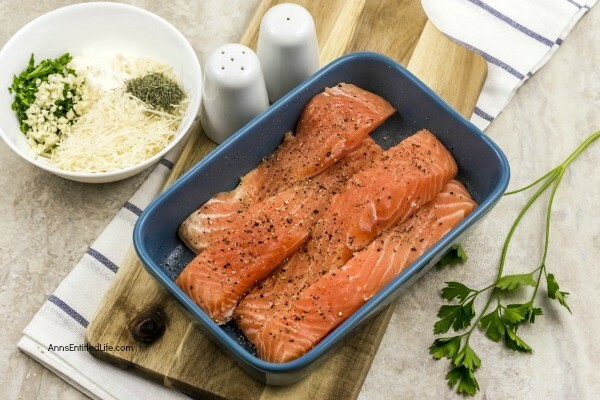 • Bake the salmon uncovered in a preheated 425º for 12-15 minutes until top is golden brown. 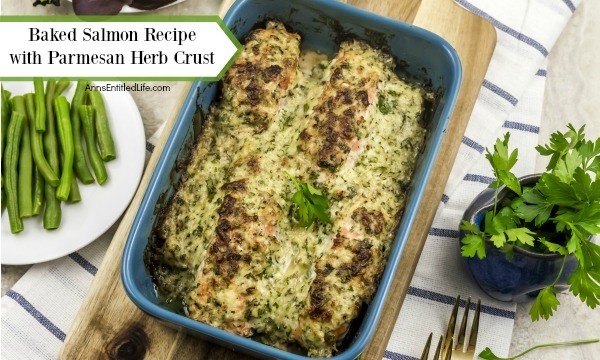 This easy to make baked salmon recipe with Parmesan herb crust is a fast dinner that is delicious any day of the week! 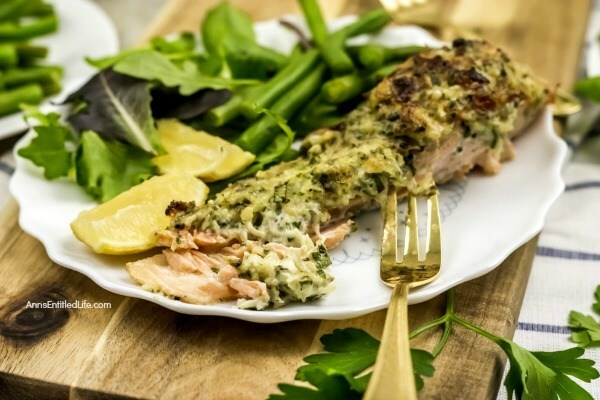 From prep to table this oven baked salmon recipe is ready for your family in about 20 minutes. 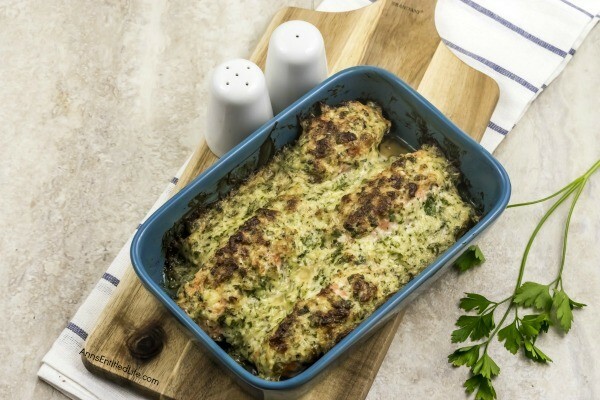 • Baked Haddock with Horseradish Topping – A family favorite, this Baked Haddock with Horseradish Topping recipe also freezes very well (uncooked). Whether for a holiday meal of weeknight dinner, this haddock recipe is easy to make and simply delicious! • Easy Salmon Patties Recipe – This simple to make salmon recipe is great for using up leftover cooked salmon. Ready in about 15 minutes, these salmon patties are a fabulous lunch or dinner entrée. 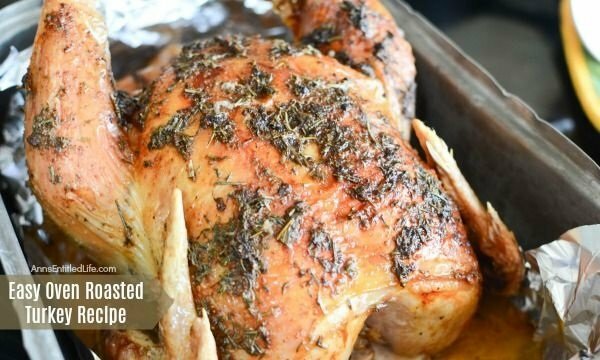 A whole turkey is easier to make than you might think! 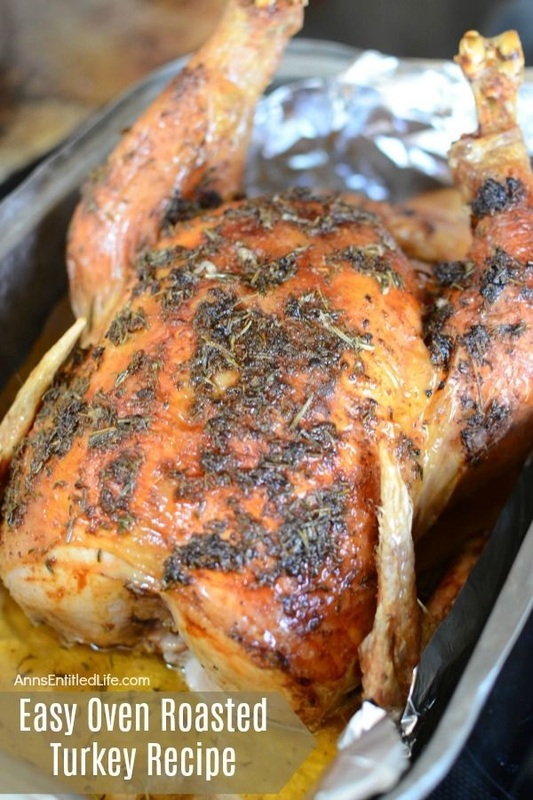 Use this easy oven roasted turkey recipe the next time you want to make a whole bird. 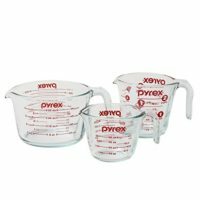 The directions are easy to follow, and your poultry meal will be simply delicious. • Making a whole turkey can intimidate some people. For many people (my mother included), the “worst” part is sticking your hand inside the bird’s cavities. May I suggest a disposable latex (or non-latex) glove? It can help you get past the ewwwwww-factor. 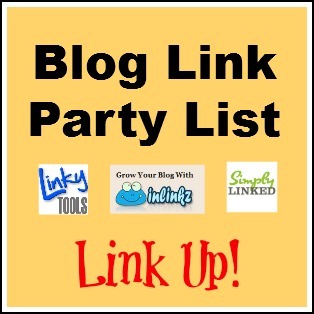 • Some people swear by basting every 15 to 30 minutes the last hour of cooking. I am not one of those people. However, there is nothing wrong with that. 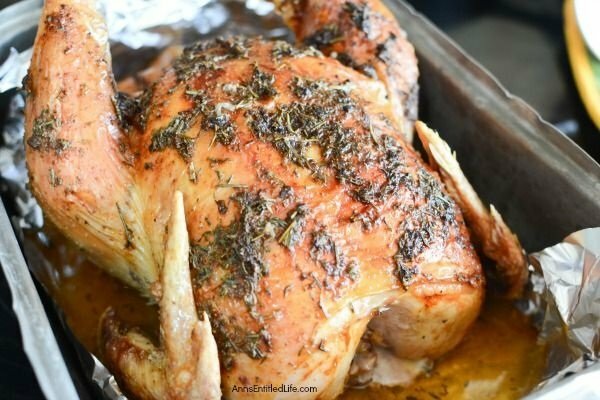 • This recipe is for a fresh or defrosted turkey. Do not try and cook a frozen turkey in the oven. 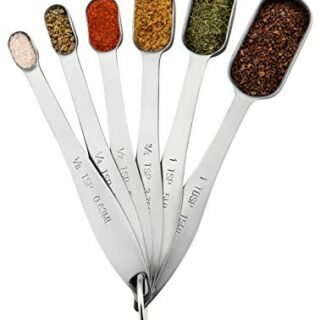 • Poultry herbs are your taste choice, but commonly used ones are: Sage, Thyme, Marjoram, and/or Rosemary. You can buy a nice little package in the grocery store: fresh poultry herb blend. 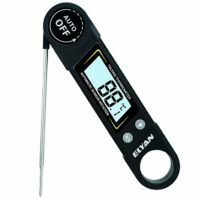 • It is recommended that your turkey is tested by an accurate meat thermometer instead of going by the cooking time. • Some ovens will cook a bit hotter or slower than others, or may have an internal temperature gauge that is incorrect. Again, follow the meat thermometer instead of cook time instructions on the package. 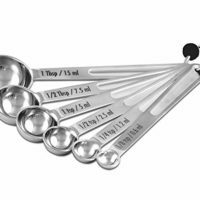 You can use them as a guide, but the meat thermometer is the way to go. 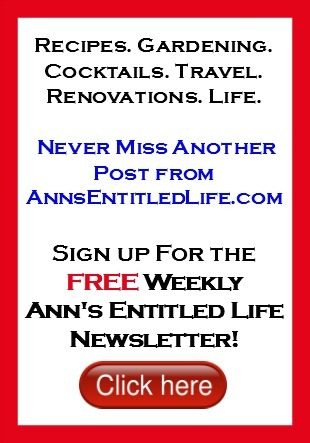 • Reserve the giblets for making turkey gravy! 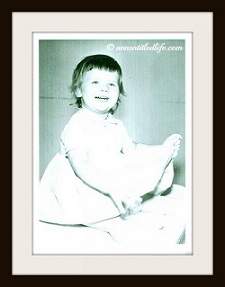 • These directions are based on an unstuffed turkey. 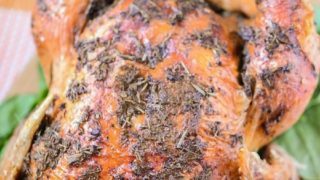 If you would like to add extra flavor to the inside of the turkey, add a few lemons that have been rolled and pricked with a fork, as well as some peeled onions. Here are my basic how to cook a turkey instructions. 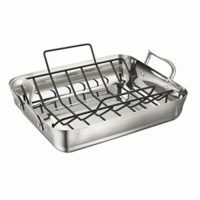 • Spray your roasting pan and pan-rack with non-stick spray. 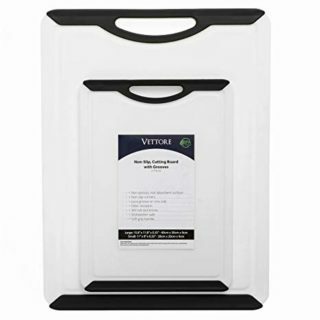 • Remove neck and giblet bag from inside the turkey cavities. Reserve if making giblet gravy. Discard if not making giblet gravy. • Wash the turkey inside and out, pat dry. 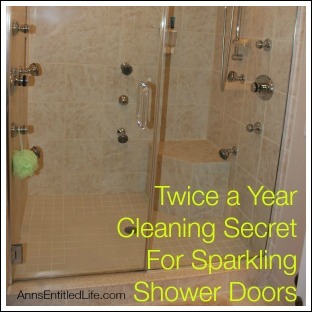 • Rinse your defrosted or fresh turkey inside and out. 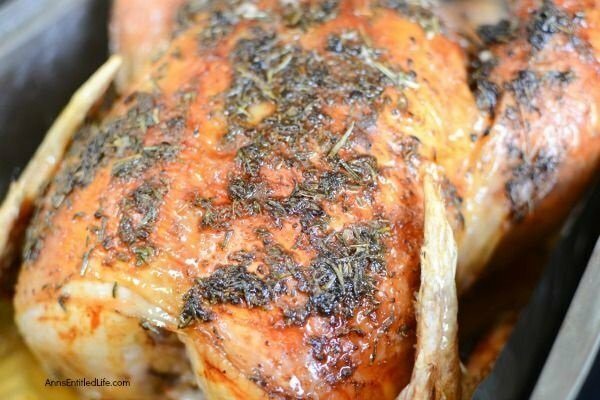 • Place the freshly washed turkey into the roasting pan, and pat dry with a clean kitchen towel. 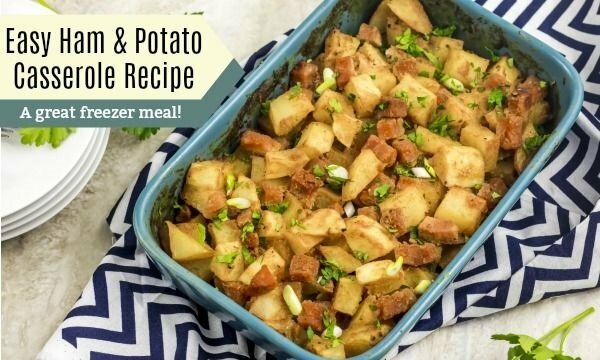 • In a small bowl, combine all ¾ cup butter, 1 teaspoon of seasoning salt, 1 teaspoon poultry seasoning, 3 tablespoons of fresh poultry herbs, chopped ( which can include any combination of these fresh herbs your family prefers: sage, thyme, marjoram, and/or rosemary), ½ teaspoon pepper, and ½ teaspoon of garlic powder. Mix well. 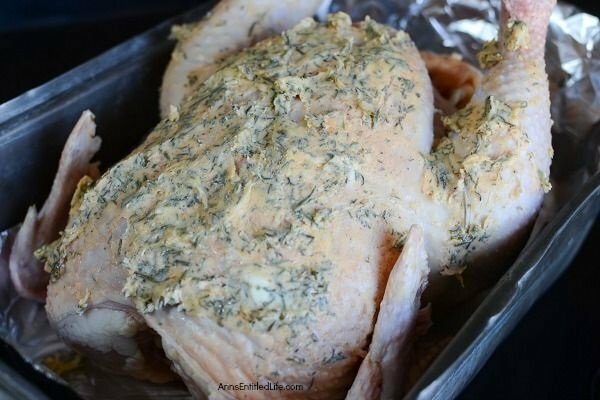 • Using clean hands, rub the butter all over the top of the bird. Remember to do the legs and wings. If there is any butter left, spread it in the inside of the bird. • Salt and pepper (to taste) the inside cavity of the bird. 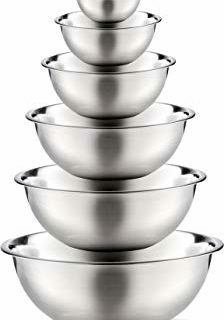 • Pour the water in the bottom of the roasting pan. 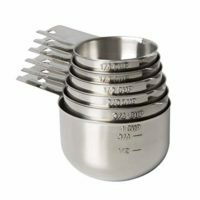 • Place the roasting pan containing the turkey in the bottom rack of the preheated 350°F oven. 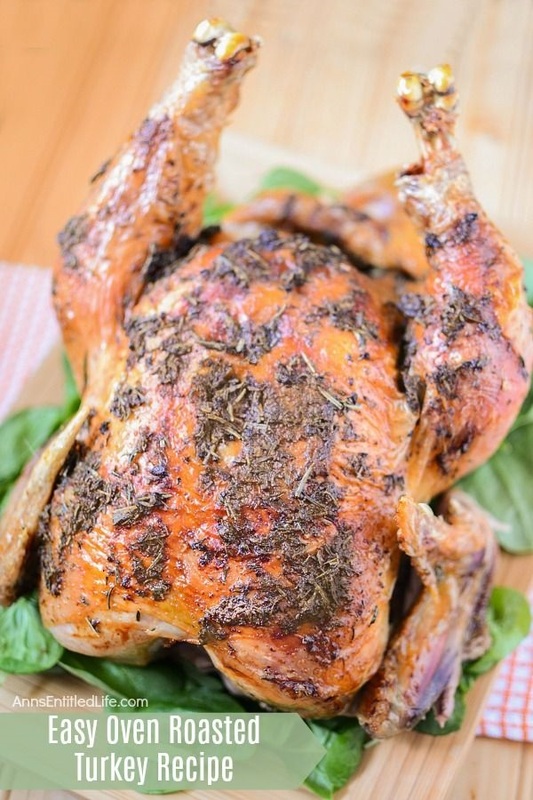 • Roast the turkey for 3 – 3 ½ hours or until a thermometer inserted into the thickest part of the thigh, reads 180°F. 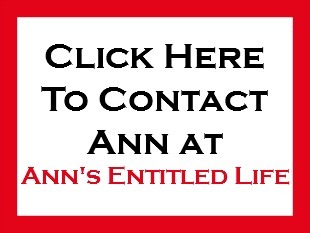 • Remove the turkey from the oven. • Being very careful, move the turkey from the roasting pan onto the serving dish and place a sheet of foil over the bird to “tent” it. This is so the cooked turkey can rest, and the juices can redistribute throughout the turkey. You can tent it for up to 20 minutes before cutting, and it will still be hot. 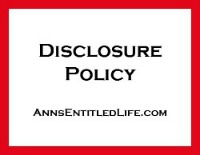 It does continue to cook a bit while under the aluminum foil tent, so be aware of that. 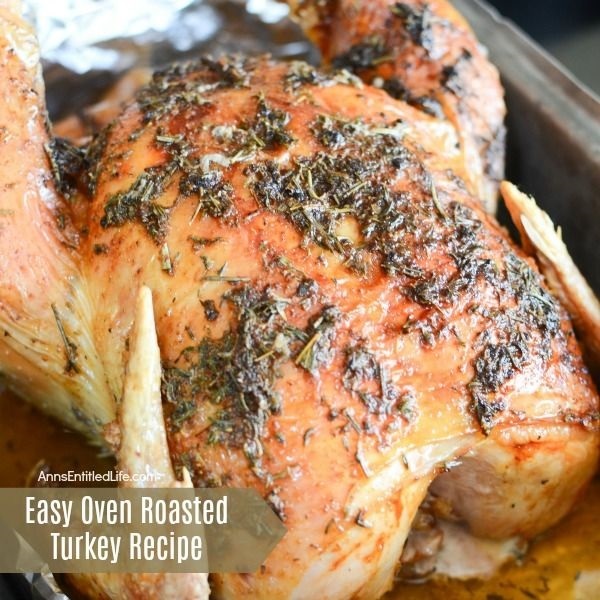 • Reserve the juices at the bottom of the roasting pan to make turkey gravy. • Being very careful, move the turkey from the roasting pan onto the serving dish and place a sheet of foil over the bird to "tent" it. This is so the cooked turkey can rest, and the juices can redistribute throughout the turkey. You can tent it for up to 20 minutes before cutting, and it will still be hot. It does continue to cook a bit while under the aluminum foil tent, so be aware of that. • How to Make Turkey Gravy – Turkey gravy goes hand and hand with roasted turkey. Instead of buying canned or jarred turkey gravy the next time you make a bird, why not make your own? It is easier than you think! 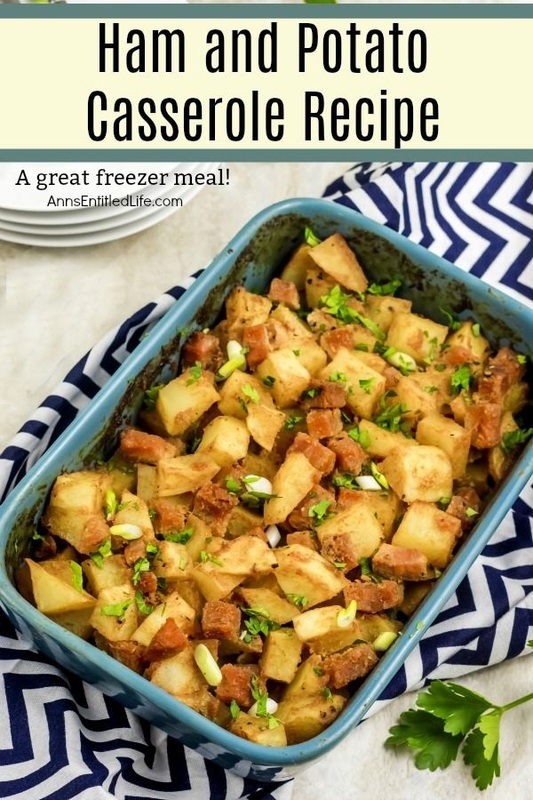 • Turkey Shepherd’s Pie Recipe – When you have holiday leftovers it can be difficult to think of new recipe ideas to use up the rest of the meal. 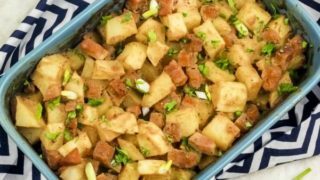 This Turkey Shepherd’s Pie one easy to make, delicious turkey leftovers recipe that the whole family will love! • Turkey Turnover Recipe – Leftover turkey never tasted so good! Make great use of leftover turkey (or chicken) with this fast and easy to make Turkey Turnover recipe.